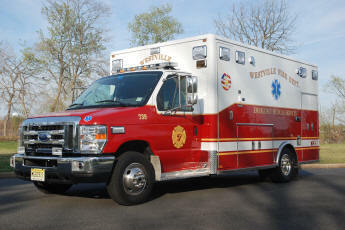 The Westville Fire Department delivers pre-hospital emergency medical care via a two-tiered system. Basic life support service is provided by the members of the Westville Fire Department assigned to BLS Unit 739 who are all NJ certified Emergency Medical Technicians. Westville EMS is under the direction of James Tucker, EMS Coordinator. Should the ambulance be out on other calls, emergency medical care is provided by certified Firefighter/EMT's assigned to the Utility Truck (737), which is equipped with medical supplies, suction unit and a AED. All department fire apparatus are BLS equipped with Semi automatic external defibrillators (SAED). Since 1977, Advanced Life Support (ALS), the second tier of the two-tiered system, have been provided by Paramedics from Underwood Memorial Hospitals Mobile Intensive Care Unit. The paramedics work in conjunction with Fire Department personnel to deliver the highest level of pre-hospital care available to the citizens of Westville and surrounding communities. 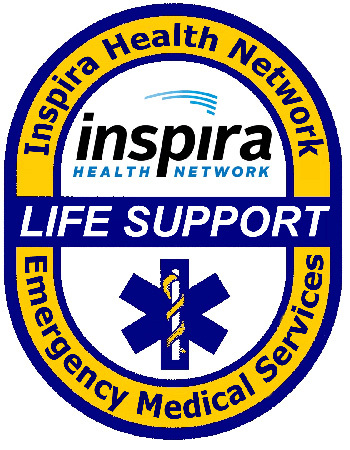 November 1, 2012, Underwood-Memorial Hospital and South Jersey Healthcare merged and became Inspira Health Network. The new corporation is designed to inspire new opportunities in healthcare. Inspiring new medicine is only the start of cutting edge healthcare. Westville Fire Department - EMS Division is now operating under Cooper University Hospital's medical command with there EMS protocols / procedures and has a great working relationship with there Nurses & Doctors.